The Computing Community Consortium (CCC) has been working hard on various white papers over the past couple of months and slowly releasing them. You can see all of them here. Today, we highlight one paper in particular, called Democratizing Design for Future Computing Platforms by Luis Ceze, Mark D. Hill, Karthikeyan Sankaralingam, and Thomas F. Wenisch. Information and communications technology (ICT) is changing our world. And yet, even more transformative advances are possible. With advances in machine learning and cloud computing, future ICT improvements will likely exceed past advances, bringing improved quality of life and enhanced competitiveness for the USA as world leader. Past ICT gains have been facilitated by synergistic improvements in hardware, commonly called “Moore’s Law.” Moore’s Law enabled ICT hardware performance and cost-performance to double every two years to provide a foundation for the ICT wonders we all experience. Unfortunately, the technology trends fueling Moore’s Law have run against critical physical constraints. Today, this foundation of ICT innovation is no longer rapidly improving. 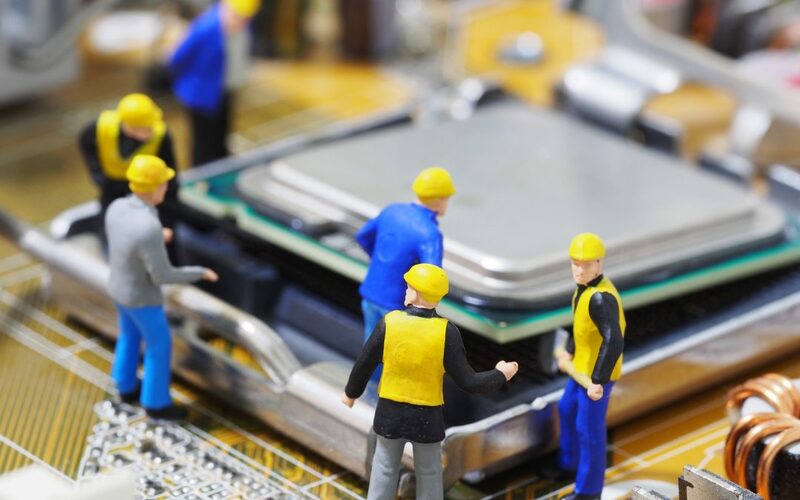 The paper suggests that the government can unleash software-hardware innovation with programs that develop open hardware components, tools, and design flows that simplify and reduce the cost of hardware design. Without government action, Americans may miss the opportunity to benefit from innovative hardware-software devices due to barriers caused by lack of reusability of designs and poor ease of use of tools. Second, the government can also encourage open computer-aided design (CAD) tools. Third, the government can encourage and support more chip building–creating funding programs that allow research teams to build chips will help drive open-source hardware efforts and build compelling prototypes. See the full white paper to learn more about these possibilities and directions for the future of computing platforms.